We couldn’t recommend Little Wombles highly enough. The staff couldn’t be more friendly and each child are welcomed with smiles and open arms every morning. My daughter is a little shy and the staff were always so good at making her feel so comfortable and bringing out her confidence. It was the best decision to send our two children there and we are going to miss this nursery so much! We think of Wombles as her home away from home. You’ve had her now from a little 11 month old babe to a rather feisty nearly 5 year old. She has grown into a little lady while in your care, she has learnt things I didn't think were possible in a nursery setting. She can surprise me on a daily basis with the information that she comes out with. Her learning has gone from strength to strength, that is thanks to you and her caregivers at Little Wombles. Some weekends she wants to go to Wombles and is rather upset when I tell her its closed! However, I personally try not be upset that my daughter would rather be with you than me, it just tells me how much she loves it there. You’ve looked after in ways that I will forever be grateful for. She is now so ready for school and wants to learn so much, you are to thank for that. Without your amazing teaching I would have worried that she would struggle in her first year at school but now I feel that she might be top of the class with her abilities in writing and numbers. So, a huge thank you from the bottom of our hearts for everything that you have done for her. I just wanted to say a massive thank you to you for looking after my little girl so well over the last couple of years. I never in a million years thought I would feel so happy about her going off to nursery whilst I was at work, but knowing she was spending the days with such lovely, kind, fun and devoted people and seeing her happily skipping off down your corridor to breakfast gave me more joy than I could have ever imagined. You run such a special place. My daughter has been attending Little Wombles for 2 years since the the age of 6 months. Throughout this time I have been exceptionally happy and very impressed with the level of care that she has received. From the nurturing care she received as a baby to the more educational attention she now receives as a pre-schooler, I could not be happier. welcoming, inclusive and provided great stimulation for the children. here from an early age. this is in my view well founded. education that she has received from Nicky and team. Little Wombles is truly the very best at providing a nurturing, caring, attentive and loving environment for little people. What really worked for our child was that he was taken as an individual and the team patiently worked around settling him into Little Wombles life as well providing activities to suit his developmental needs. There is always a lot of communication from the Little Wombles team and I particularly appreciate seeing photos taken every week so I can see all the happy activities my child has done each day. The menus are healthy, nutritious and balanced and has also meant that my son has been able to get to know new tastes as well as being involved with the cooking himself! I would not hesitate to recommend Little Wombles for any baby or child as the team provide more than a nursery environment but a home from home with care, attention and more. My husband and I could not have been happier with the childcare provided for our daughter during the 18 months that she attended Little Wombles Westover. I cannot fault the service that we received and it was with significant regret that our daughter had to leave. Being able to head off to work knowing that your most precious little person is being cared for so well, makes life so much easier. Little Wombles is a fantastic environment for learning, play and development. Nicky employs only the best staff and clearly instils her own standards throughout the entire operation, because the levels of education and behaviour are always excellent. I cannot recommend Little Wombles highly enough, I'd give more than 5 stars if possible! It is without doubt that the experience our daughter has gained whilst at Little Wombles will set her up well for life. When it became clear that our lively one year old daughter needed more interaction with her peers than classes and playdates could provide, I visited more than a dozen local nurseries, daycare and childminders. It wasn't until I met Nicky & saw the Little Wombles set-up, that I was happy to leave her? How lucky we were! What a happy, warm, nurturing and genuinely affectionate environment Nicky & her wonderful team have created. It is no surprise that our daughter made good friends and astonishing progress during her months at Little Wombles? We were so sad when we came to move on! Nicky's professional teaching background shines through & the days were filled with a judicious balance of fun, play and learning. We particularly loved French and ballet! While our daughter spent most of her time at the Westover nursery, she was also accommodated several times at the relatively new Broomhill site which provides equally good facilities for many more children. Throughout our time at Wombles, Nicky & Colin proved to be professional, understanding, flexible and helpful. Nothing was ever too much trouble which was an unexpected relief, given that childcare, particularly of such little ones, can be often be so fraught for myriad reasons? 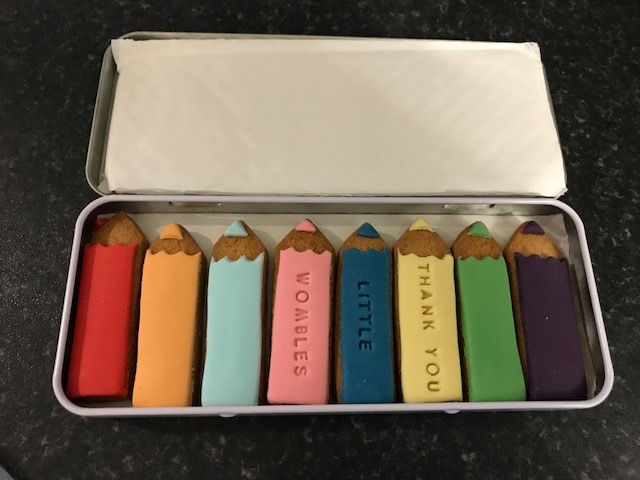 We could not recommend Little Wombles more highly and we are particularly grateful to all the wonderful carers who were so kind and solicitous of our little girl that she still talks about them regularly, including Kayleigh, Martyna, Natalia and Marcella. Prior to finding Little Wombles, I had researched and rejected a number of nurseries in the area As soon as I met Nicky, I knew that I'd found the exact right fit for my daughter. Little Wombles is the perfect combination of a creative and fun-loving environment that fosters learning through structured play. The staff go to so much effort with arts and crafts and messy play activities. I especially like the fact that the children are brought outside to parks, soft play etc for daily activities and specialised teachers are brought in for dance and music classes etc, this is yet another aspect that sets it aside from the competition. The standard of care provided by the dedicated staff is also first class. I really appreciated the great level of communication between parents and staff. The daily diary, weekly photographs and regular parent, staff meetings made me feel very much up to date with my daughter's progress. Having experienced the Westover and Broomhill location, I can attest to the quality of care that my child received at both. Little Wombles is a real community that has an incredibly welcoming atmosphere, to children and parents alike and I wouldn't hesitate to recommend it. Nicky looked after my four month old baby this year and I am more than happy to recommend her as a childminder. Nicky is an extremely friendly, caring and generous person who always went the extra mile when looking after my son. Nicky has a lovely warm and friendly home environment where there is plenty of space to cater for children at all different ages. Nicky always met my needs and would always reassure me with peace of mind before I went off to work. I always felt comfortable when leaving my son for the day. Nicky's experience as a primary teacher is evident in her excellent activities for all levels. Nicky possesses some wonderful skills and is simply a natural when looking after children. I highly recommend her! Nicky looked after my 10 month old son for 3 months earlier this year and he was always very happy in her care, holding out his arms to greet her each morning. She provided a home from home setting with plenty of activities to keep him busy during the day. She has a naturally warm and bubbly personality and seemed to click instantly with my son. He loved his time at her house. Nicky always found the time to communicate with me, either at the beginning or the end of the day so I could go to work safe in the knowledge that my son was happy. Returning to work after having a baby was a big step for me but having Nicky look after my son so well made the transition seamless. I would highly recommend her setting to anyone. Nicky looked after my 1yr old daughter for 6 months this year while I returned to work. I must stress we only left as I was starting maternity leave again and for no other reason - we were so sad to leave. While my daughter was in her excellent care she grew and developed so much. Both Nicky and her colleagues provide such a warm, happy, secure environment for the children in their care, it was like one big happy family. They were so understanding of any concerns I had initially and I felt comfortable leaving my daughter in their care from the word go. Within days of settling in my shy, mummy hugging daughter would wait by the door to leave in the morning and propel herself inside without a backwards glance once she arrived. Nicky provides such a wealth and breadth of experiences for the children, from messy play, to music time, to arts and crafts to trips and visits. All are listed in her profile above and all are enjoyed by the children. I can't imagine another child minder going to such efforts, it's truely amazing. I debated about childcare when returning to work for the first time, believing a nanny was the best option. How wrong I was - small group, bespoke, home based childminding is brilliant for the social interactions and experiences your child will gain. And Little Wombles is hands down the best! The team at Little Wombles looked after our son for four days a week from 7mths until just before his third birthday. We couldn't have been happier with the care and attention he received. Choosing childcare is such a stressful process and we both felt confident that we were leaving him in capable hands and most importantly that cuddles, love and attention would be available whenever needed. He has developed into a confident, chatty, happy little boy for which I give Nicky and her team full credit! Activities are varied, communication between staff and parents is good and there was never anything we felt we couldn't raise with them. If you're looking for a home from home childminder who provides a stimulating environment in which little people can grow and interact, look no further! Little Wombles looked after my daughter from just before her first birthday. The childcare she received couldn't be bettered. 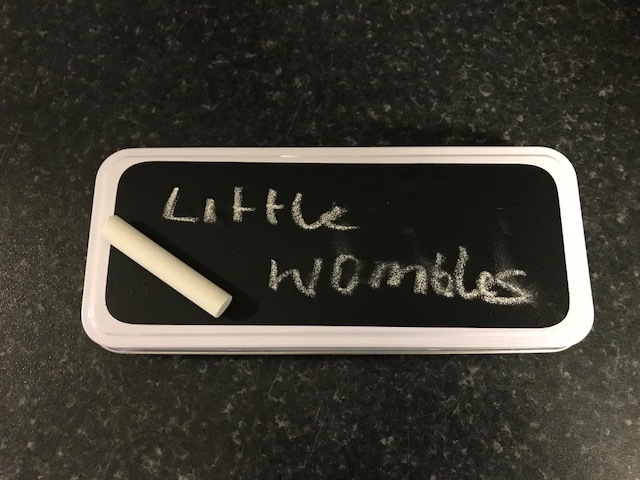 The atmosphere at Little Wombles is homely, friendly and personal and it is clear that a lot of thought goes into making the nursery the best possible place for the children. Isla has been encouraged to blossom into a lively, creative, caring little girl.